You will find below the horoscope of Adriana Lastra with her interactive chart, an excerpt of her astrological portrait and her planetary dominants. If you know the time of birth of Adriana Lastra, we would appreciate it if you would send us your information with your source, at stars@astrotheme.com. To thank you for contributing to the enhancement of our astrological database, we shall be glad to send you the astrological portrait (34 pages) of this celebrity. Horoscopes having the same aspect Moon trine Saturn (orb 1°44'): Eminem, José Bové, Jake Gyllenhaal, François Fillon, Gerard Butler, Jacqueline Kennedy Onassis, Matt Damon, Nostradamus, Kris Jenner, Stephen Hawking, Stephen King, Jimmy Fallon... Find all the celebrities having this aspect. Celebrities clicked on in real-time: 576,218,688 times. Adriana Lastra Fernández, born March 30, 1979 in Ribadesella, is a Spanish politician member of the Spanish Socialist Workers Party (PSOE). She was elected MP for the electoral district of Asturias in the general elections of December 2015. Here are some character traits from Adriana Lastra's birth chart. This description is far from being comprehensive but it can shed light on his/her personality, which is still interesting for professional astrologers or astrology lovers. 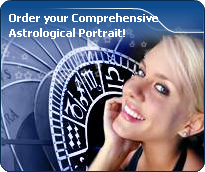 In a matter of minutes, you can get at your email address your astrological portrait (approximately 32 pages), a much more comprehensive report than this portrait of Adriana Lastra. Warning: when the birth time is unknown, which is the case for Adriana Lastra, a few paragraphs become irrelevant; distributions in hemispheres and quadrants are meaningless, so are dominant houses and houses' accentuations. Therefore, some chapters are removed from this part. The predominance of Water signs indicates high sensitivity and elevation through feelings, Adriana Lastra. Your heart and your emotions are your driving forces, and you can't do anything on Earth if you don't feel a strong affective charge (as a matter of fact, the word "feeling" is essential in your psychology). You need to love in order to understand, and to feel in order to take action, to the detriment of a certain vulnerability against which you should learn to fight. Like the majority of Earth signs, Adriana Lastra, you are efficient, concrete and not too emotional. What matters to you is what you see: you judge the tree by its fruits. Your ideas keep changing, words disappear, but actions and their consequences are visible and remain. Express your sensitivity, even if it means revealing your vulnerability. Emotions, energy and communication must not be neglected; concrete action is meaningless if it is not justified by your heart, your intellect or your enthusiasm. The Mutable mode is the most emphasized one in your natal chart, Adriana Lastra, which indicates a mobile character that is curious and thirsty for new experiences and evolution. You are lively and flexible, and you like to react quickly to solicitations, but don't confuse mobility with agitation, since this is the danger with this configuration - and with you, stagnation is out of the question. Security doesn't matter as long as you are not bored. You optimize, you change things, you change yourself... all this in a speedy way. After this paragraph about dominant planets, of Adriana Lastra, here are the character traits that you must read more carefully than the previous texts since they are very specific: the texts about dominant planets only give background information about the personality and remain quite general: they emphasize or, on the contrary, mitigate different particularities or facets of a personality. A human being is a complex whole and only bodies of texts can attempt to successfully figure out all the finer points. Compassion and self-sacrifice: you are fond of this romantic mode and you are willing to express your feelings, the intensity of which is unlimited, Adriana Lastra. With excitement and imagination, you dream your amorous relationships as much as you actually live through them. The line between the concrete world and your huge hopes is so tenuous that you don't know anymore where it is, although your particularly rich sensuality prompts you to experience your feelings concretely. You want to share communion and passion with your partner. The lyrical flights of your feelings break from your heart as waves that you do not attempt to control because they give you a real, almost voluptuous and carnal joy. You give a lot – sometimes too much - without reservation, almost without propriety, totally revealing your vulnerability during your amorous exchanges because you are sure of the quality and the might of your feelings: they are so powerful and overwhelming that you are aware that nothing can resist them. You express your energy in a vague and random manner, Adriana Lastra. This is not a handicap, but it prevents you from reasonably planning your long-term actions. You are a bit whimsical and scattered, sometimes hyperactive and willing to devour obstacles with your big shark teeth, but often, you take the easy way out because of your desire for tranquillity. You loathe conflicts and your cleverness and your flexibility allow you to achieve your goals while shrewdly worming your way through difficulties. Your intuition and your imagination are the assets that compensate your lack of efficiency and discipline. You are much more successful when you work for a noble cause, usually a collective one, sometimes political or spiritual ones. On the sexual plane, you are whimsical and impossible to categorize. You are so changing and malleable that you can shift from one extreme to another, according to your partner's personality, because your adaptability and your flexibility are really strong. This text is only an excerpt from of Adriana Lastra's portrait. We hope that it will arouse your curiosity, and that it will prompt you to deepen your knowledge of astrology, as well as to visit and use the wide range of free applications at www.astrotheme.com. Your Life Path is influenced by the number 5, Adriana, which indicates changing and off the beaten track destinies. Your activities are varied and placed under the sign of adaptability, and multiplication of resources. More than anyone else, you need to enhance your learning capacities and the broad-mindedness. You must cope as well as you can with changes and transformation occurring in your life. Indeed, Life Path 5 brings about destinies which are prone to twists and turns, as well as to upheavals. Therefore, your life's main orientation may vary considerably at certain stages, and if your destiny is that of adventurers whose course is fraught with obstacles, it may also turn you into an exceedingly unstable person through lack of nuance. You accumulate experiences and enrich your know-how with each crucial period. Your adaptation skills enable you to go through all the successive stages of your life without ever being destabilised by new situations.